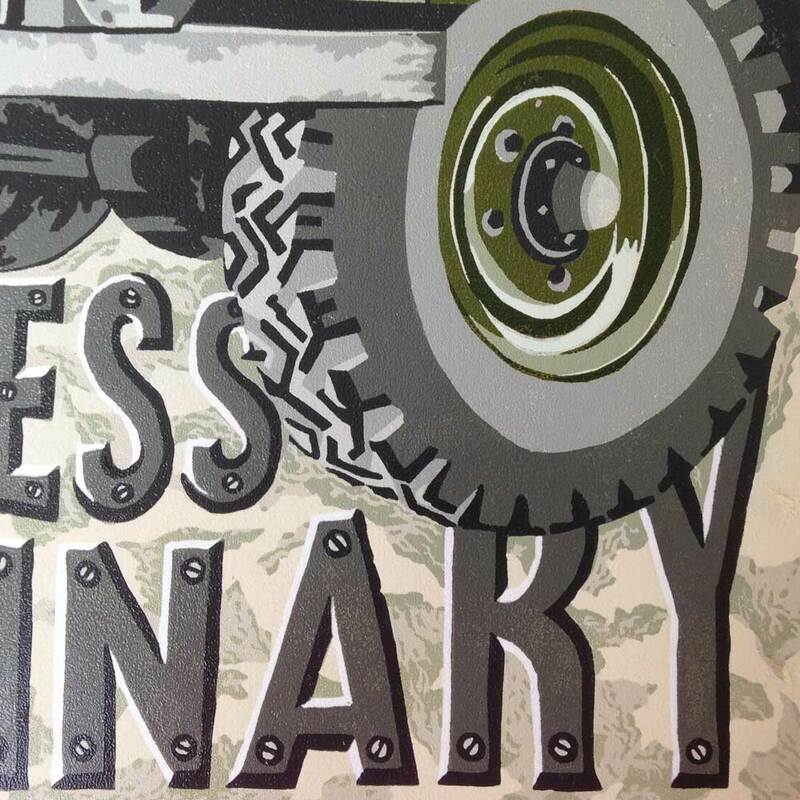 This print is an 11 colour reduction linoprint printed on Japanese Awagami Washi paper. 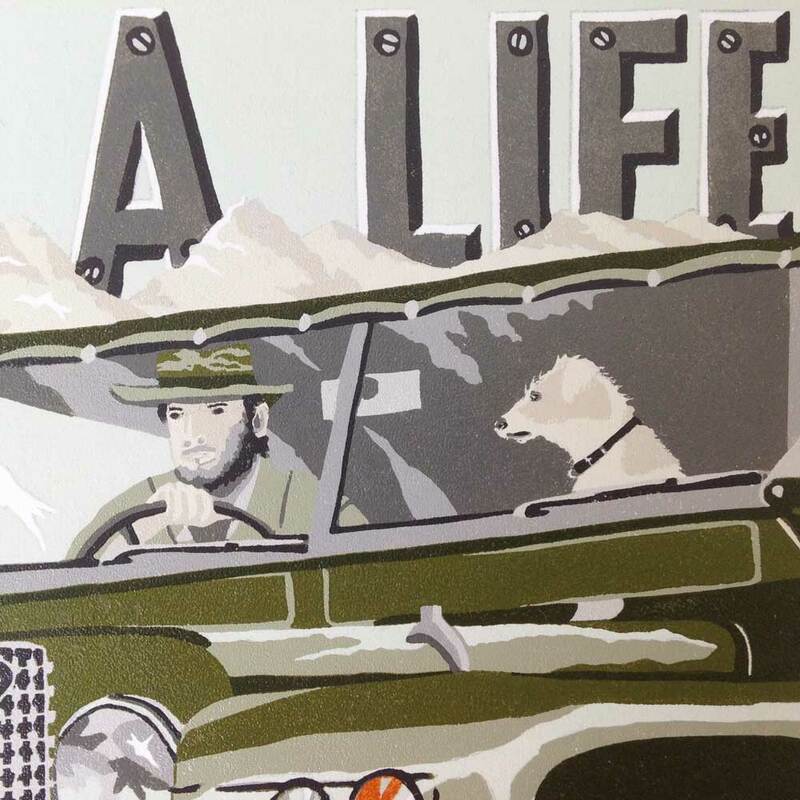 Edition of just 47 prints, each one is individually signed and numbered. Thank you so much for the print, my husband opened it up this evening. He loves it and it will be sure to have pride of place in the house! Just to let you know the print arrived a few minutes ago and it is already up on the wall - many thanks indeed - very pleased with it! 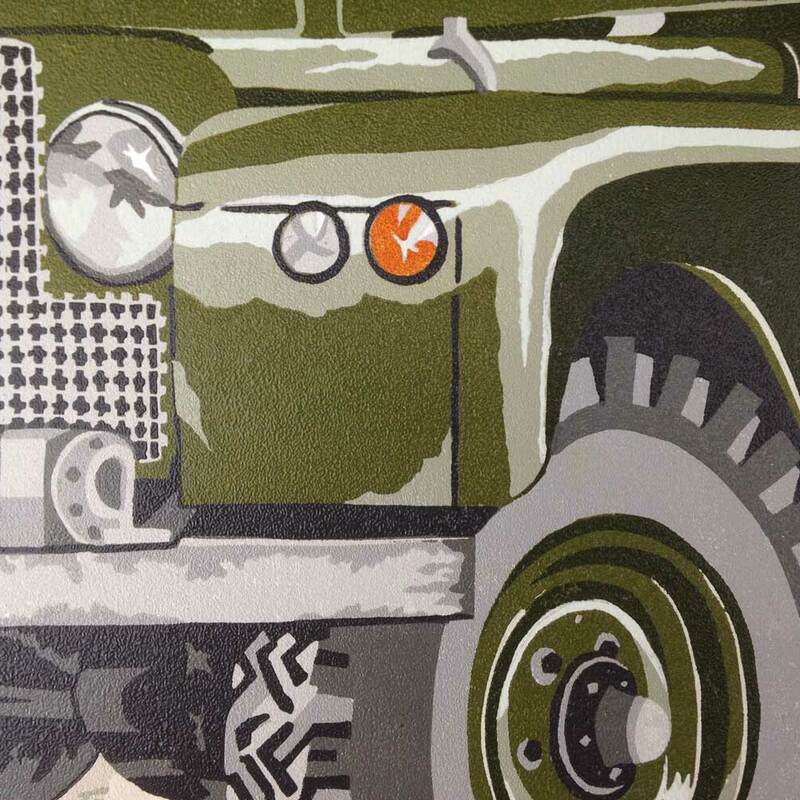 I created this print to celebrate the legendary Land Rover. 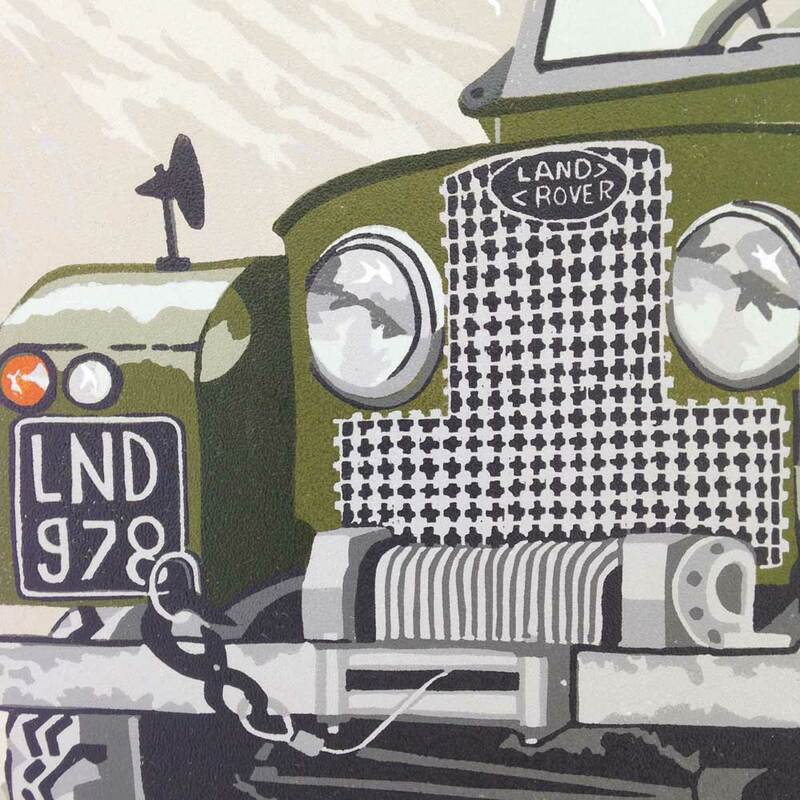 The original Series 1 model was launched in 1948 and was the trailblazer for the production of over two million Land Rover Series 1,2,3 & Defenders. Their timeless appeal has endured for almost 70 years. Transcending class and fashion, they look at home in any setting, be it a farmer’s field, a country estate, a city street, a jungle track or a royal palace. 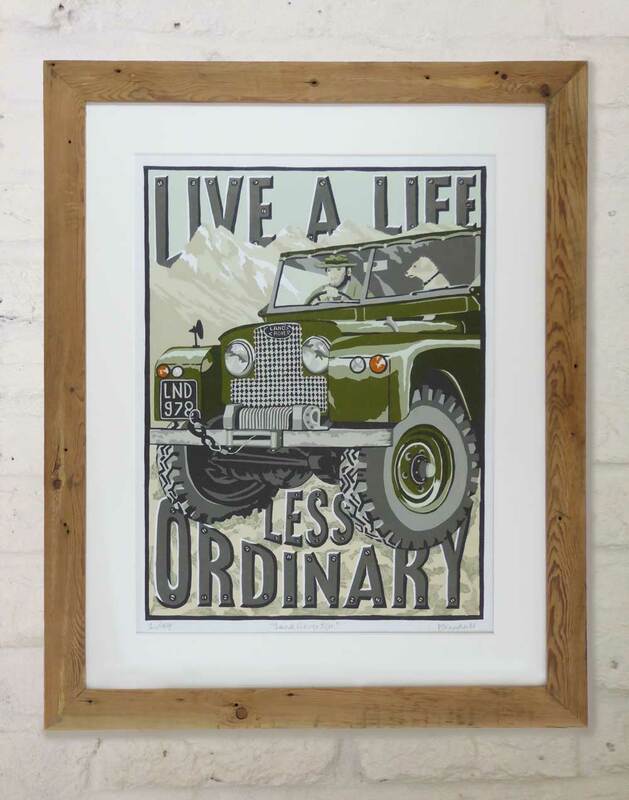 Inspired by vintage travel posters of the early 1900s, this print is dedicated to the rugged, functional character and “go anywhere, do anything” capability of the iconic Land Rover. It captures the spirit of epic adventures, the freedom to explore the great outdoors and the bond between dogs and their people. I make my frames out of reclaimed wood and each frame has its own pattern of knots, grain, dinks, scratches, nail heads, rusty staples, wonky edges and aged patina. They echo the vintage, nostalgic appeal of this print perfectly. The print is framed with an off white matt (mount) and the size of the framed print is approx. 45 x 56 cm (18” x 22”). Framed prints come ready to hang and are fitted with crystal clear acrylic glass. Alternatively the prints fit perfectly in a standard 40 x 50 cm frame with the matt/mount supplied (UK addresses only).